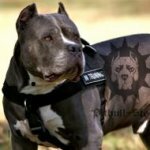 Pitbull Chain Leash UK, Best! When Staffy is on a dog lead. When you walk down the street take your Staffy on the dog lead, it will be much easier to control its actions. As soon as you see that Staffy wants to pick up from the ground – pull the dog leash and give the command "Leave it". 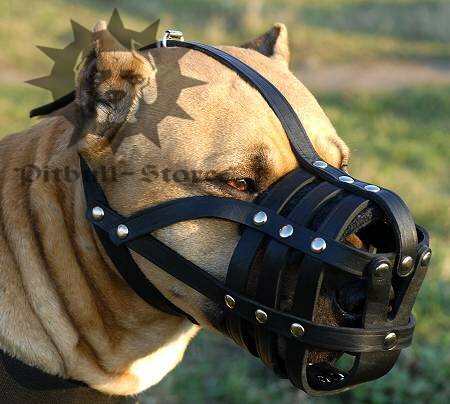 If Staffy does not obey, it means that you`ve pulled the dog leash not enough. If Staffy picks up from the ground again you give the command " Leave it" and give it a slap on the bum with a palm. Remember that Staff should feel your pulling. It does not mean that you should pull too hard, but also not too slight. Staffy more likely won`t respond to slight pulling and hard pulling will do much harm to it. However remember if you pull the dog leash and think that you do it hard and Staffy continues picking up from the ground, it means that you pull really slightly. When you walk Staffy without a dog lead. When Staffy is without the dog lead and it tries to pick up food from the floor, your task is to give it the command "Leave it", then to come up and to give a slap on the bum with a palm. If you really want to wean your Staffy from picking up from the floor/ground, then it is necessary to do it each time when the dog tries to eat from the ground. Don`t give your dog any chance and don`t let it eat from the ground. 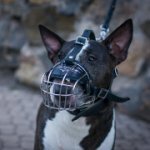 In the beginning it is better to walk with the dog leash as Staffy can run away on the distance before you will give the command and punish it if your dog eat something from the ground. There is also a variant to throw the dog lead to Staffy at the moment when it ran away and you couldn`t catch up it at once. But this variant is not always effective as you can miss the dog. Self-tuition. You can speed up the process of training your Staffy not to pick up from the ground. For this purpose choose a small ground about 3 per 3 meters and throw delicacy on all the surface. Then having fastened Staffy on the dog lead walk it on this territory. If Staffy starts to pick up from the ground, punish it at once. You should punish it in such a way that the dog did not want to pick up from the ground any more. The procedure should last for 5 minutes. After teaching step away from this place and start Staffy training within 30 minutes. After dog training walk again through the indicated place and if the dog wants to pick up something from the ground again, punish it and don`t allow to pick up. It will be good to repeat your teaching for few times a week to make the dog training effective. Choose also dog food which Staffy likes to eat so that it attracted the dog. Also don`t forget to change food and place of teaching the dog. 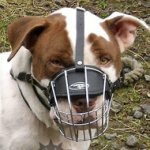 Effective and safe dog muzzles to wean Staffy to pick up from the ground, click on the pictures! Good Friday! 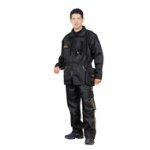 15% OFF for Pitbull Products! TODAY! Angry Dog. Why? What to Do? Do You Need a Fighting Dog? 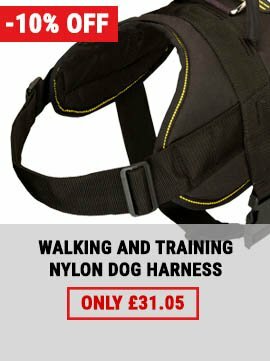 Dog Walking - How Many Times a Day to Walk a Dog? 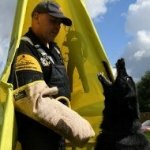 Fierce Dog: Why and What to Do. 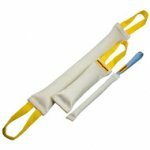 How to Stop Dog Pulling on Lead? 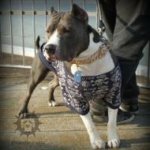 How to Train Pitbull to Ride in Car? 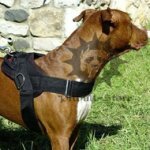 Pitbull Collar Herm Sprenger or Alternative? 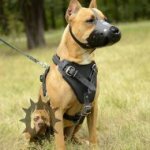 Pitbull Collar with Handle or Without? 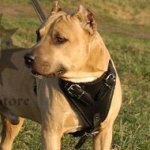 Pitbull Harness with Handle or Without? 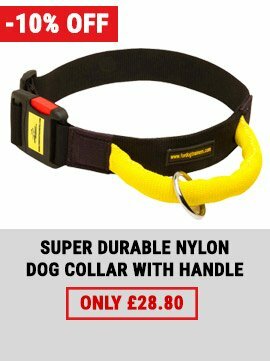 Pitbull Padded Collar with Felt or Nappa? 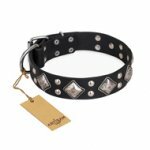 Prong Collar for Pitbull or a Choker? 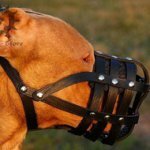 Prong Collar for Pitbull with or Without Buckle? Staffordshire Bull Terrier: a Bulldog or a Terrier? 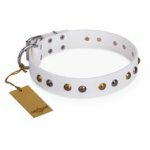 Staffy Dog Collar of Chrome-Plated or Stainless Steel? 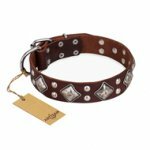 Staffy Dog Collar of One or Double Thick Leather? 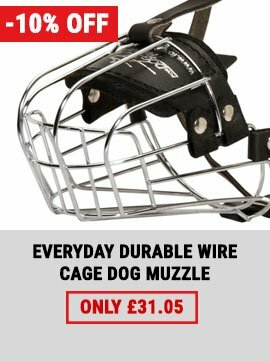 Staffy Dog Collar of Stainless Steel or Curogan? What Are Dogs Scared of? What Does the Dog Need a Collar for? Agility with Pitbull or Staffy, Training in Sport! Bull Terrier in the Hunting - Is It Possible? How Does Your Staffy Drink? 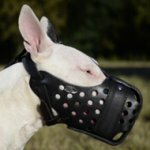 What is the difference between the Staffordshire Breeds? 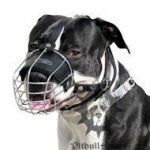 Pitbull Muzzle for Any Situation! Pitbull Feed Habits Breaking - Anti Pick up! Put on a Pitbull Collar or Is Pitbull Harness Better? You can learn dog behavior! Pitbull Harness or Pitbull Collar for Training? Why a Dog is Smelling the Ground? 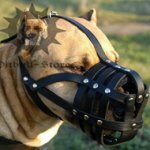 Prong Collar for Staffy of Curogan for Training, 1/6"